When reviewing top quality lighters, it is sometimes difficult to make any relevant comparisons between them. They have the flame (torch or normal), they have an ignition button (or wheel), they have the tank and that's it. Two quality lighters usually are very similar in many ways. Then, it comes down to the design and execution. 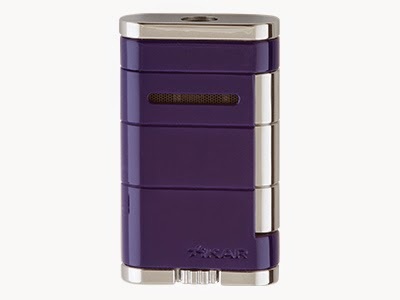 The new Allume lighter from Xikar is a small but sturdy little lighter. It has a single torch, which is very powerful. Also, the whole lighter has a feel of solid quality. despite the small size, the fuel tank is sufficient enough for normal use. The Allume lighter is very compact and easy to carry in any size of a pocket. The flame adjustment wheel is large enough to be handled without any issues and the side ignition button is very practical. All combined in an affordable and beautiful package. All in all, the Allume is an excellent lighter on the go. Definitely my current choice of lighter to carry with me. The original Xikar Allume comes in Tuxedo Black, Stealth G2, Crush Orange, Imperial Purple, Riot Red, Steel Silver, Alpine Pearl and Electric Yellow finishes. Plenty of choices to pick your favorite! 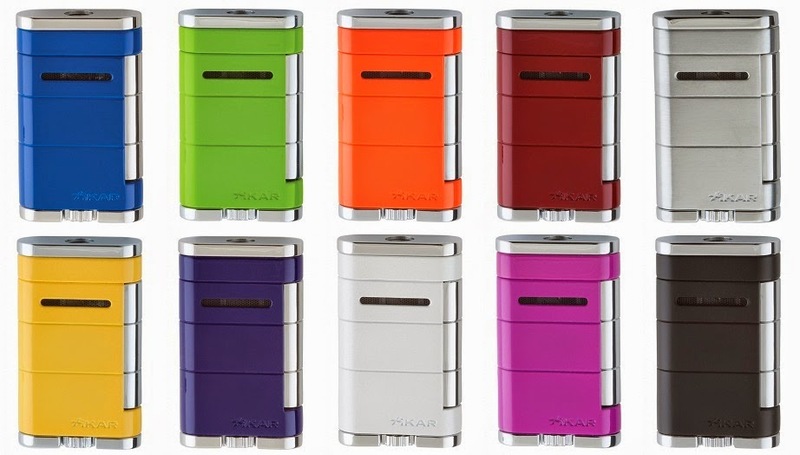 Xikar is planning to expand the Allume series also with a double and triple flame versions with the size of the lighter increasing along with the number of flames. “How would you like your cigar cut?” A question anyone might hear when visiting their local tobacconist. Most of us might have that instinctual answer of 'straight cut' or perhaps even a punch, but the options available are actually quite varied. While countless designs exist, there are four basic cuts to choose from and each carry their own unique benefits and history. The most popular cut is the straight cut, or guillotine, due to its straightforward design, ease of use, and ability to cut almost any cigar you may decide to smoke. Allowing the fullest draw and greatest flavor, you get all the smoke a cigar can produce. While its simple design may look easy to operate, but there are some pitfalls when using this cut. First, you must be sure not to cut off too much of the wrapper. This could result in the wrapper (the most important part of the cigar) to unravel. Using a Xikar cutter for example, one method to a perfect cut is to place the open cutter flat on an even surface such as a table. Next, place the cap end of the cigar inside the cutting area and close the cutting shears. 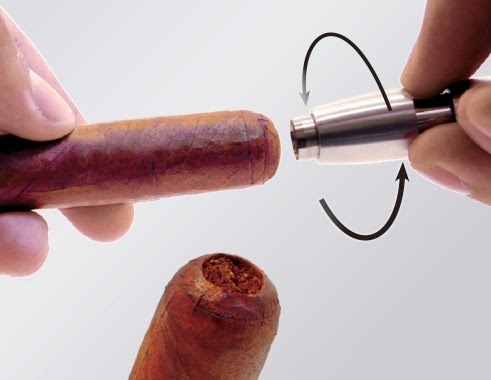 This will guarantee the perfect amount of cap is cut off the cigar. Also, having a sharp blade and cutting quickly will help to avoid cracking the wrapper. Of similar function are the cigar scissors, but even more benefits can be realized. While the size of cigar able to be cut is limited by the construction of your guillotine cutter, the cigar scissors have no limit. Also, they are more easily able to be sharpened allowing for a lifetime of use. 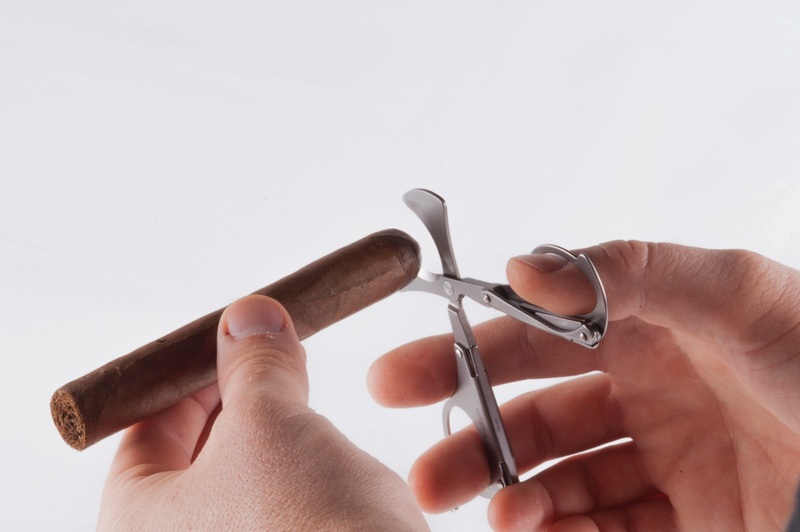 Using a sharp pair of cigar scissors can decrease the amount of power needed to gain a clean cut through a cigar, but they do require an additional amount of finesse. One of the oldest cuts in existence is the V-cut, producing a small diamond shaped slit through the cap of the cigar. Commonly referred to as a 'cats eye' or 'wedge cut', the V-cut gained popularity in the 1920's as many people preferred smaller, short filler cigars. The V-cut makes a wedge shaped cut which restricts the draw, less so than a punch, but enough to really concentrate the smoke. Also, it prevents small pieces of loose tobacco from going astray. 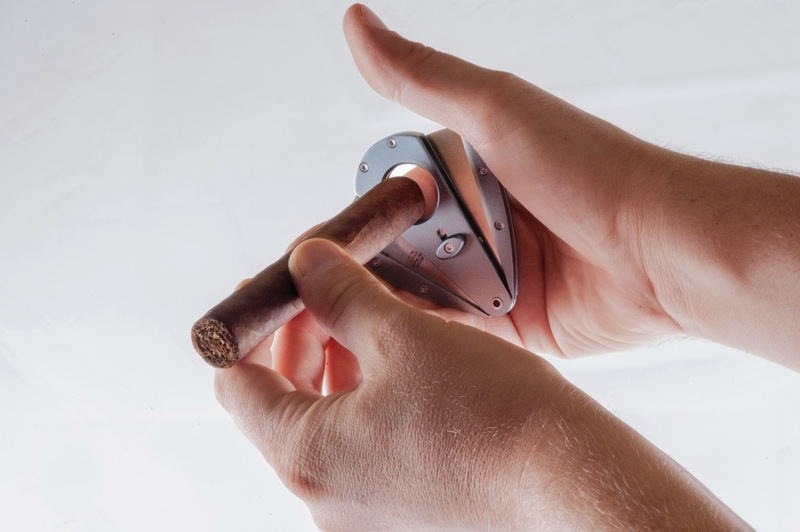 A sharp blade is critical to the effectiveness of a V-cutter, as it has a high propensity to pinch the cigar cap, causing damage to the cigar wrapper. Xikar produces a high quality VX V-Cutter which has a unique inverted blade preventing the pinching of the cap. Lastly, one of the newest cuts to come into fashion is the punch cut. 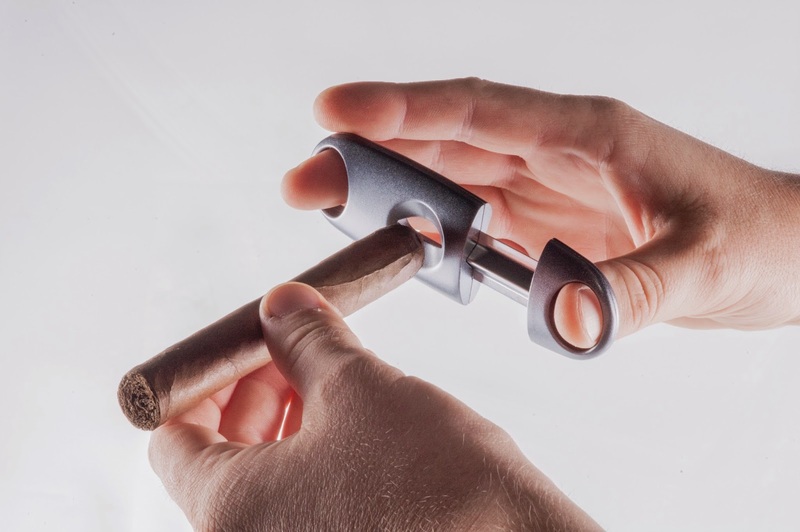 Coming in various sizes, the punch cut has a circular blade which can be twisted into the cigar cap for a small and clean opening which concentrates the cigars flavors. The biggest benefit of the punch cut is that it is nearly impossible to damage the cigar cap. Also, if you decide that the punch cut does not provide enough draw, you can still apply a straight cut to the cap and create a larger opening.